I listened to the audiobook for My Cousin Rachel, and it only took two hours to finish. I based my assumptions of this story off the two-minute trailer for the upcoming film adaptation. 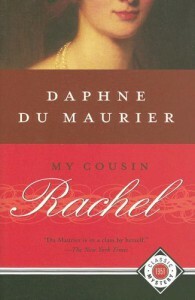 While there were heavy implications that Rachel would be the villain, upon reading Daphne du Maurier’s book I can easily say that my sympathy for her supposed victim Philip Ashley is lacking and that his blindness towards others is the real evil. The primary source of enjoyment when reading this story derives from the classic suspense plot and the Gothic undertones that remind me of Henry James’s Turn of the Screw or the movie Crimson Peak (especially when it comes to all that tea, am I right?) If I was already sensing this kind of literary layout, then I should have suspected that the protagonist would be a selfish and ever-so-slightly unhinged young male heir to a considerable fortune. Philip hears only what he wants to hear, and honestly I can’t see Rachel’s actions as villainous, but rather powerful in the fact that a woman is claiming her right to live richly and well without marrying. My two questions: what the heck with Rainaldi? Did anything happen with Louise? This book has been on my “to read” list for several years. Given I knew only the synopsis on Goodreads, I had my own idea of what the book would be already formulated before I read the first page. I suspected a summer tale, three months of glorious fun for two university pals. This presumption wasn’t far off, but Waugh’s story goes further than romping around in the sunshine. The tale of a convoluted family and the witness of their stark emotional lives, Charles Ryder, explores spiritual responsibility and morality. Despite this heavy subject, I did not feel as if religious opinion was being shoved down my throat, nor did I feel as if I was rifling through a bible. Like Fitzgerald’s Nick Carraway, Charles Ryder is the eye over a high and mighty set of people, albeit less glamorous. The Marchmains are so pious that they have left very little room for common decency. And they’re not even truly pious. Mrs. Marchmain’s religious conviction is just as much a form of escapism as Sebastian’s drinking. While reading this book all I could think about was how everyone just wanted to run away and free themselves from themselves. Except no one could find a way to do it. Instead, each person just sunk deeper into what complicated their lives in the first place, be it guilt, drunkenness, or obsession. I can’t say I would read the book again, but I liked the story while I was in it and I appreciated the prose, even if the characters were icy and impulsive. I was immediately attracted to this book, pulled in by the melancholy undertones promised via the cover and the fact that it's historical fiction. In my experience, I have found that stories of this genre have strong hearts at their center, and they invariably leave me struck with a sense of nostalgia. 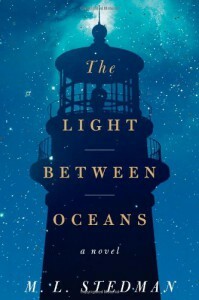 The Light Between Oceans is no exception. While some may be turned off by the creeping pace of M.L Stedman's writing, I couldn't help by mentally applaud him for his painstaking care to fully elucidate that the feeling of loss does not simply cease when the war is done. Stedman's protagonist, Tom Sherbourne, isolates himself in an effort to process the tragedies inflicted by the proverbial hand of war. As the lighthouse keeper, he lives in solitude; that is until he marries the fiery Isabel. What follows is a story about variations of love, but most importantly the sacrifices one makes for those who mean the world. The book is worth reading and it's worth crying over. Before I began reading this book I was warned that it was “gritty.” That was the exact word used. And the person who generously cautioned me was telling no lie. Oftentimes the story of the maturing Baby Teegarten made me cringe and my stomach churn. It had nothing to do with Beem Weeks’ writing style, but rather with the brutality young women were faced with during the 1920s. The first person perspective allows readers to face Baby’s harrowing journey to making it big in a society that demeans girls and views them as commodities rather than human beings. Beem Weeks writes about broken dreams and the crushing weight of circumstance. While Baby has a vision of making it big in the northern United States, desperate for an escape from barren Mississippi, she is cut short and settles for the dark world of New Orleans speak easies. The real tragedy of the tale is that the summation of all the horrible events Baby experiences reflects the desperation some feel to escape, whether they are escaping a regrettable past or a home that never felt like home. While I can’t say that this is a book I would read again, Beem Weeks’ writing skill is undeniable. I tend to prefer romance and stories that take me on an emotional journey that end in me ultimately feeling fulfilled and happy. When I finished this story I mostly felt dirty. But to accurately depict the tale of his protagonist, the author had no other way but to include those details for the sake of authenticity and perhaps even shock value. 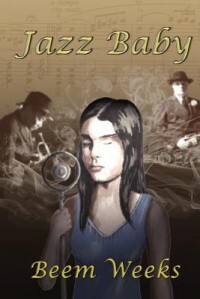 Returning to that warning I was given—Jazzy Baby was a chilling and indubitably gritty approach to a coming of age story. 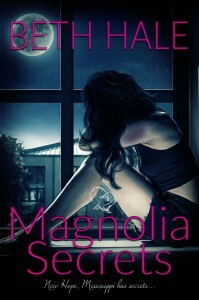 I was drawn to this book, expecting the best of fictional scandals given the title. The story begins with a young Albertina Hultgren traversing the seas from Sweden to America with her mother, aunt, and uncle. Immediately the themes of “family is a blessing” and “love trumps all” are apparent. Albertina mourns the recent loss of her father, a death that catapulted her and her family into the foreign environment of New Jersey. Albertina’s first few years as a Swedish immigrant are composed of nostalgia for her homeland and the magical tales that were told to her by her father. However, the introduction to the famous married sculptor Augustus Saint-Gaudens serves as the catalyst for a completely new and exciting, yet untraditional life as the model Davida Johnson Clark. Although the book is not written as an epistolary, the story reads as an intimate look into the heart and mind of Karen Ingalls’ protagonist. As I read I could sense her developing maturity, yet the innocence that characterized her from the beginning was never lost. What made this story enjoyable was the fact that I felt a connection to Davida Johnson Clark. She was a woman led by love, not just for Augustus Saint-Gaudens, but also by the love for her family. Her patience was immeasurable, her soul sincere, and her dedication to the passionate Augustus remarkable. As a novel categorized as historical fiction, I did feel like there could have been more context to supply the story with authenticity. There were plenty of facts about the art exhibitions and Augustus Gaudens’ artistic process; however, there was no real cultural details that illustrated how alarming a relationship of this nature was at the time. I would like to have been given the tools with which to build a more vivid picture of Ingalls’ world in my head, because I truly loved the characters that lived in it. I loved her characters so much that I cried as I empathized with their tragedies. Moreover, I had come to rely on the company of the innkeeper Maria and the New York neighbor Helen much like Davida herself. The kinship between the women in the book comforted me, and the course of events these women went through left me teary-eyed. 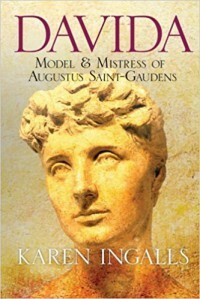 While I wish that the book ended happily, the reality of the lives of Davida Johnson Clark and Augustus Saint-Gaudens was bittersweet and riddled with complications. What began as an affair of the body inevitably ended as an affair of the heart. Walker and Lainey share one explosive night together and he awakens to find her gone. Shrugging it off as just a glorious one-night stand, he accepts a new job in a small town: New Hope, Mississippi. That's where he finds Lainey again. She just happens to be married to the Chief of Police-and Walker's new boss. And so begins a tale of melodrama in the quaint and unassuming town with the ironic name. Upon reading the first encounter between Hale’s Walker Bell and Lainey Holley, I could not help but cringe at the overwrought description of sexual tension. I wanted so badly to believe that there was natural chemistry between the two characters, but every time he called her kitten, I was dragged further away from the moment and closer to closing the book for good. Two intertwined plots compose this story. The first involves the volatile relationship between the brutish Evan Holley and his wife, whose one night stand in the midst of an escape from her husband comes back to haunt her. The second plot consists of a drug deal gone badly and a scattering of dead bodies. While the first storyline was well constructed, in fact a wrenching portrayal of an abusive marriage, the second storyline strayed. It came together in the end as a Law in Order-esque show down that had me questioning whether I was still reading the same book. As a reader, I felt as if I knew very little about the victims involved, and therefore I struggled to empathize, detached from those Hale presumably meant for readers to feel a connection to; namely Jimmy and Johnny—the ill-fated brothers—who were you guys really? I barely knew you. Criticism aside, Hale did a spectacular job at illustrating the importance of helping those who are victims of abuse. Lainey is surrounded by supportive figures who each do his and her best to keep her out of harm’s way. Despite being given a brief glimpse into Lainey’s past--how young she married and her experience in foster care--she was the one character that I wanted to be truly happy by the book’s conclusion. In my mind, her happiness should not only derive from the gallant police officer with whom she slept with that one time, but rather her experiences volunteering with children at the local school. Hale did a wonderful job at this too; she reiterated the importance of a woman’s independence and the blessing of having one’s own life to live. The relationship between the two protagonists is thinly developed, hanging by a thread of flirty one-liners and pet names. Walker started out as that guy who will just not leave you alone at the bar, but he developed into someone who may actually come to value a woman (but still insists on using the demeaning nickname, kitten). However, there is promise between the two protagonists, the ending of the book a clear harbinger of a budding substantial romance. As a book from a mandatory reading list, coupled with the fact that it's a translation of the primary source, I did not expect to find this particularly enjoyable. That being said, my predominant reaction was absolute boredom, occasionally mingled with amusement at the sheer ridiculousness of the content. One minute Mandeville is writing about the ferocious lion then he's writing about the importance of being a pure Christian. Of course, I don't expect anything different given the time period in which this was written. Granted, this book was the most popular manuscript, beating even The Canterbury Tales in terms of the number of preserved manuscripts. In addition to being turned off by the overzealous religiosity, I began reading the account with the knowledge that most of it was plagiarized from previous travel narratives and religious fiction. The Travels of Sir John Mandeville was a hodgepodge of non-linear tales and, like many other narratives with underlying Christian lessons, it grouped Jewish and Muslim people into one group, damning them all for not following the "true God." 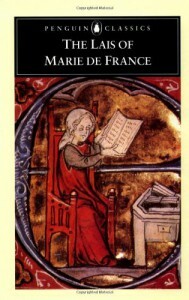 In short, Medieval literature is amusing, but they were all whack, even if they didn't know it at the time. Looking back on my first Goodreads Reading Challenge in 2016, I can't help but feel proud of myself. While a lot of the books were favorites that I re-read, the 30 books I managed to read while balancing school and part-time work proves how much I desperately need the consolation good stories provide. The three years I have been in college have been consistently rough. I haven't much enjoyed my experience and have found that escaping reality has been the only way to maintain sanity. I've often felt alone on my campus, secure only with a book in hand. I suspect I will feel this way for the rest of my life, but it doesn't sadden me like it used to. Reading brings me great joy, and I can only hope to impress myself again with the 2017 Reading Challenge. 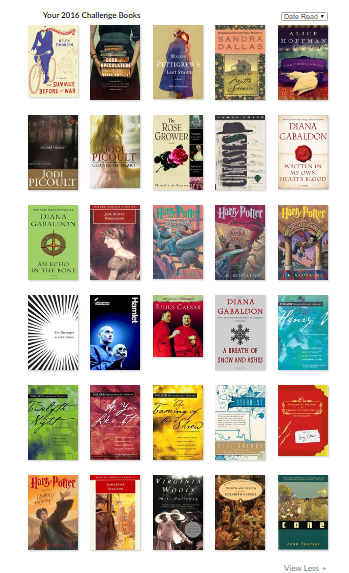 So far I am five books ahead of my goal, so it's looking good! As a debut novel, Sinclair boasts the musical language of a practiced craftsman. The characters are vibrant, each man and woman is lovely, but terribly complex. Although it is fiction, the struggles of the human heart are illustrated with great care. 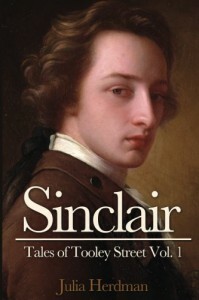 James Sinclair is driven by his need for acclaim, only to discover that the love of a good woman suits him fine. Charlotte Leadam is a hard-headed widow, sure she will never love again, only to discover that she has the heart for new romance. The sinking of the Sherwell, a ship from the East India Company's fleet, sets off a tale about the human capacity to make mistakes, to love the wrong people, and to ultimately find forgiveness in seemingly impossible circumstances. I was enraptured by the multitude of plots that intercepted each other with grace. 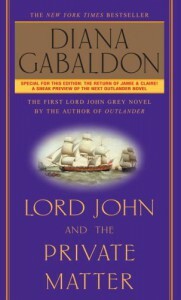 Much in the same style as the prolific Diana Gabaldon, Herdman made true on her statement to write stories of love while simultaneously introducing characters and story lines one after another. Written in third person omniscient, the reader is privy to the internal turmoil of all the characters, eliciting, for me at least, a strong affinity with the honorable Frank Greenwood, James Sinclair's loyal companion. Although the novel is entitled after the dutiful doctor from Tooley Street, Herdman divides her attention among his friends, his relatives, and the neighboring English milieu. I was surprised that she had not elected to tell the tale in first person, but I was pleased with the final product nonetheless. In conclusion, the story moved at an easy pace, made all the more enjoyable by Julia Herdman's humor and her careful execution of historical fact telling. I can easily see how further stories may be written to expand on the lives of minor characters like Lucy and the rest of the family at Beverly, Connie and her new role as wife and mother, and William's crush on Alice. All in all, it's safe to say I'm in need of book two! This incredibly dense read would not have been finished had it not been on a required reading list for my class on monsters in Medieval literature. Each chapter required intense concentration in order to understand the complexities of Cohen's observations in relation to the psychology behind beasts and the society who created them. Cohen goes into great detail on the pre-history of England, how colonization fed the imagination of many, and as a result tales of giants came about in order to illustrate the invasive forces unleashed upon the British Isles. Gogmagog and his herd of kin are examples of this prodigious influence; ultimately the giants are killed, allowing the Christian man to rise above the militaristic enemy, offering a symbol of hope and representing the new England that would rise from the ashes that is subjugation (and the fact that England did in fact recover to become a powerful country is indisputable). 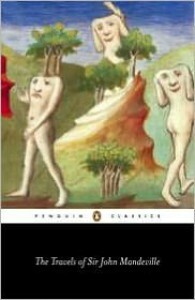 Perhaps the least convincing elements of Cohen's collection of essays was his inclusion of Freudian psychology, in particular his focus on phallic imagery as a means of expressing masculine dominance in England's pre-history, but drawing penises is hardly an antiquated way to show how territorial men can be-- it's rather a familiar habit of men even now. In short, there were many fascinating points although some seemingly based on conjecture and some questionable psychoanalytic psychology. This is my first experience with lais, brief romances written in verse. I've been a fan of medieval literature chiefly for its outlandish plots and the obscene imagery that consistently seems to contradict the Christian standards of the period. In this particular collection I noticed a popular theme of the "sexual test" where most commonly a man is given the option to refuse the advances of a mystical creature or give into temptation. In almost every account the man fails, giving way to lust. It's interesting that the moral framework of the day does not apply to its literature. In the romantic genre a knight can prove his faithfulness to the Lord AND copulate with a fairy. Really, the best of both worlds. There were so many instances while reading that I questioned the general logic of the characters' actions. For example, two women in two separate tales were detained in a castle, but after years of imprisonment one day they jump to escape, never having realized the whole time that that was a possibility? Or perhaps the strangest is the random appearance of a weasel with a magical flower that revives a princess who later decides that instead of reuniting with her long lost love, she'll become a nun instead. How can it be called the Dark Ages when we're given so much...interesting...material? 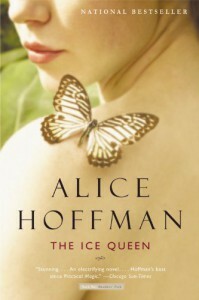 Evident by the amount of time it took for me to complete this book, The Ice Queen was hardly readable. The key to keeping a reader is ensuring that the general audience can relate and sympathize with the protagonist. The nameless woman who makes a wish at the age of eight years old was irreparably altered, turned to metaphorical ice since being suddenly deprived of emotional depth when her dark wish actually came true. The story is told in first person, and reading each chapter was a long slog. 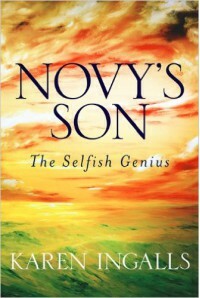 The protagonist's voice is dry, pessimistic, and incredibly "doom and gloom." I had expected as much after reading the synopsis before I cracked the book open, assuming once she met the mysterious fiery Lazarus her personality would suddenly bloom and lighten (much like Hoffman's March Murray after reuniting with Hollis in Here on Earth, which I loved). This was not the case. Instead she plummeted deeper into tedious quintessential comparisons between passionate love affairs and fire's ability to consume or melt ice. Except the "passionate" love affair with the eternally warm-skinned Lazarus does very little to melt the protagonist's stony heart. It just makes her even more self-involved and endlessly self-deprecating. Perhaps Hoffman's purpose was to perfect the character everyone loves to hate, nevertheless I slipped this book back on my shelf, paused, and was not surprised to discover that I still did not feel even the slightest twinge of love for it. Lark Rise, the first book from Flora Thompson's trilogy, is a history of the English hamlet famously depicted in the BBC adaptation Lark Rise to Candleford. Thompson's story is semi-autobiographical, drawing from her childhood and those who featured in it. 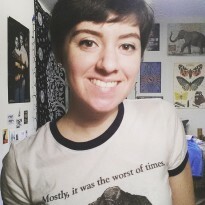 She writes with humor and heartwarming nostalgia. 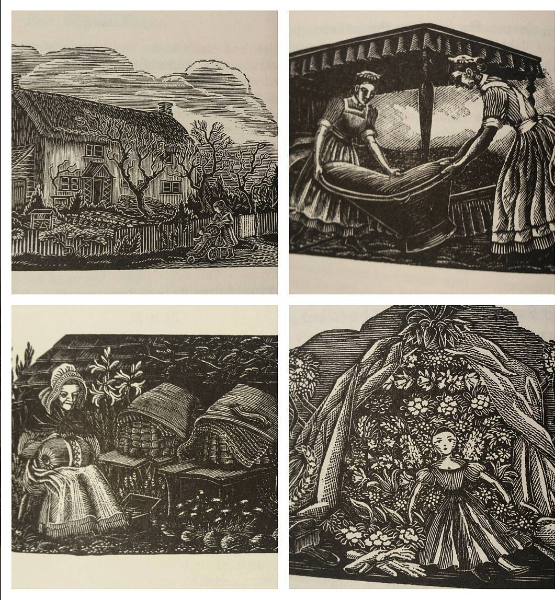 Each chapter is focused on an aspect of the country lifestyle with which she was accustomed. Her memories are rendered with profound detail, allowing for the type of visual imagery that makes a reader feel as if he or she is lying among soft blades of grass or greeting the morning sun before milking the cows. So much of the intricacies of hamlet life are vivid through Thompson's character Laura, who's reprimanded for her precociousness and whimsical appreciation of life. 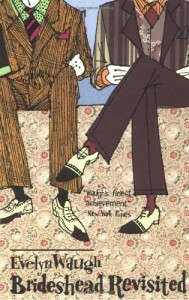 I read this book after watching the television series twice. I had begun to read this novel with the hopes of better understanding the characters I had grown to love from the screen. My dismay lies in the fact that Lark Rise was not plot driven, nor did Thompson particularly invest in character development, rather they were used as eyes with which she could guide the reader along the roads of her hometown. Nevertheless, the fleeting moments wherein Thompson offered information about Edmund or Twister had me verbally pronouncing (alone in my room where no one could hear me or question my sanity) my pain upon knowing the dismal futures they had yet to discover. These endings were not demonstrated in the show, and therefore they served as a great surprise for me, albeit a sad one, while reading it on the page. 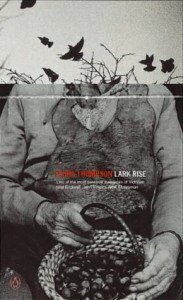 Finally, because Thompson is a woman recounting a personal history at a point in time where technology has distracted from the natural delicacies of nature and life has essentially progressed beyond farming and spring fairs, Lark Rise reads as a melancholic dream of long ago, an intimate love letter to a simpler time.